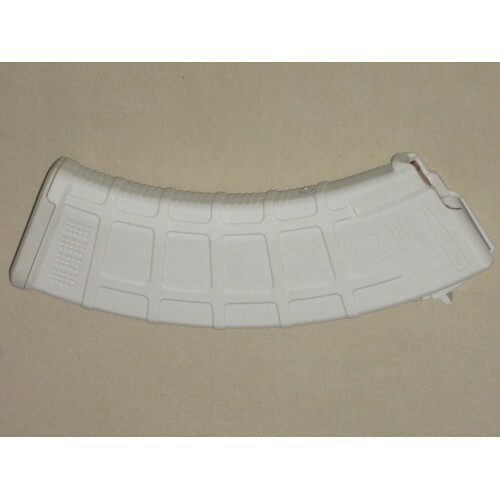 10/30 Magpul sand 7.62x39 AK-47 front riveted PMAG. 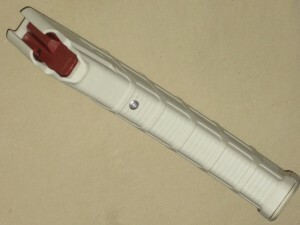 A 1/8" rivet has been installed into the front of the magazine to block the follower and limit the capacity of the magazine to 10 rounds. Counts as three 922r compliance parts, should work in most 7.62x39 AK type rifles. Some AK rifles like the WASR require a little filing of the magwell, as the WASR magwell has to be cut open to accept double stack magazines after importation, so there are some variances.